A South Korean lawmaker says North Korea computer hackers stole hundreds of secret military documents from South Korea. The documents are said to include plans for destroying the North Korean leadership if a war takes place. The South Korean official, Lee Cheol-Hee, is a member of the ruling Democratic Party of Korea and the National Defense Committee. He said on Tuesday that defense officials talked about the stolen documents. Officials believe North Korean hackers were able to see classified military documents stored at a South Korean defense data center. The attackers reportedly gained control of the documents in September 2016. Lee told the Yonhap news agency, "Also among them were contingency plans for the South's special forces, reports to allies' top commanders, and information on key military facilities and power plants." He added that 80 percent of the documents taken have yet to be identified. In the United States, a Department of Defense spokesman said he could not confirm or deny that any documents were taken. Spokesman Rob Manning spoke to reporters in Washington. Colonel Manning said that the US-South Korean alliance "is there to deal with those types of situations and safeguard against them." 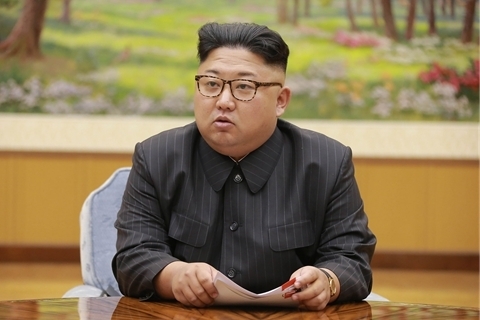 He said the Defense Department is confident in the security of its operations in Korea, including its ability to deal with threats from the North. Cedric Leighton operates his own crisis management advisory service. He once served in the U.S. Air Force. He said the amount of computer data taken was not as large as the leak of secret materials by Edward Snowden, a worker for the National Security Agency. Yet Leighton said he is surprised that the information was not kept on a more secure system if reports are correct. "What is interesting to me about this is that this kind of data was not kept on a more secure network." Leighton noted that South Korean and American soldiers work closely together to gather intelligence. He added that he did not think the computer attack showed any special ability by the North Korean hackers. The news of the secret military documents came a day after the United Nations announced that it had banned four ships from entering any port in the world. The ships are suspected of carrying banned goods to and from North Korea. The U.N. Security Council has barred North Korea from exporting coal, iron, lead and seafood. Council members approved the measures because of the North's nuclear activities and missile tests. We need to work closely with our allies. South Korea suspended its direct food aid to the North after the missile tests. We keep the data in a computer data bank. Last year economic crisis management failed at all levels. 5.The documents are said to include plans for destroying the North Korean leadership if a war takes place. The meeting takes place against a background of continuing political violence. 6.Colonel Manning said that the US-South Korean alliance "is there to deal with those types of situations and safeguard against them."